When system partition is full, you are not allowed to do many things. For example, it prevents you from creating a system image with Microsoft backup; you will be unable to upgrade or update Windows. Therefore, it’s very necessary to enlarge system partition. But how to do it? Before introducing specific steps, we’d better know some basic things about system partition. System partition is the partition mainly storing Windows boot files. On MBR disk, it is the one called system reserved, but on GPT disk it is called EFI system partition (ESP). Sometimes, there is no system reserved partition nor EFI system partition, and boot files are saved in drive C. At this time, C is the very system partition. Without system partition, Windows will be unbootable. If system partition is full, you are not allowed to update or upgrade system, and Windows might be running slow. Below is a step-by-step tutorial to increase the size of system partition. Here, system partition is the 350MB system reserved partition. To enlarge system partition, please select it and choose "Extend Partition" feature from the left side. Now, choose a partition to take free space to enlarge system partition, and we suggest choosing the one neighboring to system partition. Then, drag sliding button to decide how much free space to take and click "OK". At last, click "Apply" button to make the change finally executed. However, if you want to extend system partition on GPT disk, more steps are required since there is a 128MB partition whose file system is shown as Other. To enlarge system partition under this situation, users need to delete the special partition at first, which brings no damage to Windows, and then extend ESP using the "Extend Partition" feature. For more details, you can refer to the post Quickly Fix: Windows 10 Upgrade Couldn't Update System Reserved Partition. 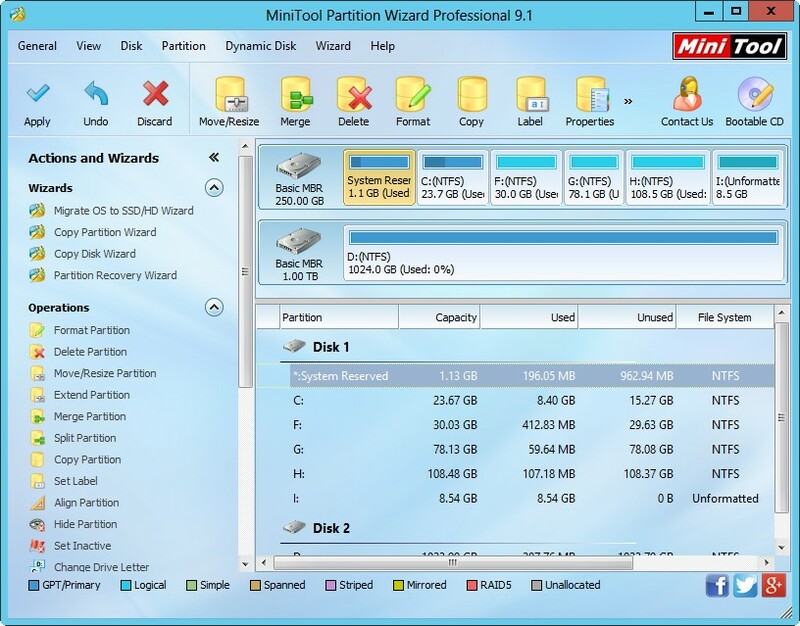 Furthermore, we highly suggest using the bootable edition of MiniTool Partition Wizard to do this operation, which can furthest protect both Windows and user data. Is your system partition full? Now, it’s your turn to extend it y following steps introduced here.